26 Apr 2018 --- Clean label, authenticity in ingredients and a growing consumer awareness of health and wellness are some of the key trends overlapping in the food and personal care industries. At In-Cosmetics Global in Amsterdam, NutritionInsight spoke with a number of key players in the food ingredients industry with a growing presence in the personal care industry. “One of the biggest trends that we are seeing is the need for cleaner beauty products. Clean label, simple labels, consumers are looking for ingredients that they consider to be authentic and recognizable. This is something that Ingredion pioneered in the food industry, which puts us in a good position to push this forward and be one of the leaders in the cosmetics industry as well,” Kristen Presti, Director, Global Beauty and Home at Ingredion, tells NutritionInsight. “There is a huge overlap in personal care in terms of the trends and consumer needs: clean label, authentic ingredients, the types of ingredients used, the functionalities, so there’s clearly a lot of crossovers and that something [Ingredion] is looking to push [forward] in the personal care industry: the use of these ‘kitchen-type’ ingredients that you can find in your pantry that consumers are looking for in their personal care products,” Presti notes. Ingredion has recently launched a new line, Nativa Care, which features certified organic and natural texturizers and sensory ingredients. “We have a patented process where we physically modify the starches and we are able to get some unique properties and functionalities without any chemical modifications,” Presti explains. “One of the newest ingredients coming into a safety concern is talc. Finished goods companies are starting to replace talc in their formulas for safety concerns and consumer perception. Ingredion is able to offer alternatives, including native starches and corn starches which are great replacements for talc in a variety of different finished products,” Presti says. Roquette, a global player in specialty food, nutrition ingredients and pharmaceutical excipients, has recently entered the personal care market with a range of ten plant-based ingredients. The company has highlighted its strong competencies and technical knowledge in the food and nutrition industry as a base for growth in the personal care industry. “We think that our experience in nutrition and health will help us bring something valuable to this industry. 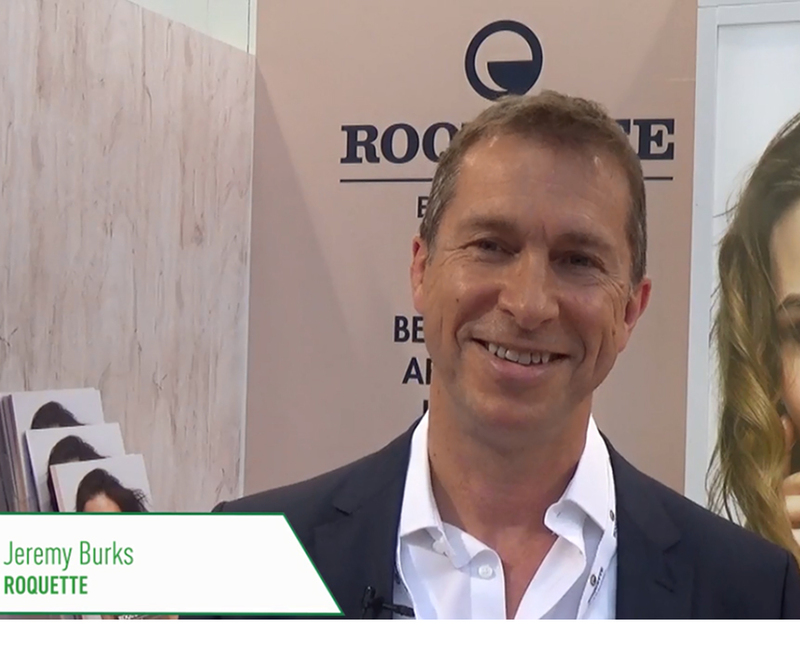 We believe beauty is down to skin health and nutrition, so there is a transferability of what we have learned in nutrition and health and we are bringing that back to the beauty industry,” says Jeremy Burks, Executive Vice President, Roquette Group. “Everything that Roquette does starts with a plant. It is all plant-based and one big drive in cosmetics now is that 25 percent of consumers are looking for naturality when making a purchase, and we can bring ingredients with that plant-based offer to this market,” Burks notes. “The other thing we do is that we have experience in food and food is an interesting industry, it is 50 percent highly scientific and 50 percent highly emotional, and cosmetics is similar. Many characteristics are similar in terms of the products too,” he says. Burks notes that the company’s strong technical heritage, applied over a long period to a market such as the personal care market, will bring forward innovation. “The ten products we are launching today are the first; later we will bring other waves of products to market. When you look at what we do at Roquette, we start with a grain – maize or pea – and extract everything useful out of it. Many elements in these raw materials are of use to this industry – protein, fibers, oils as well as starch – there’s lots to come,” he states. Meanwhile, Univar, distributor of industrial and specialty chemicals, highlights the consumer movement towards health and wellness: both inside and out. 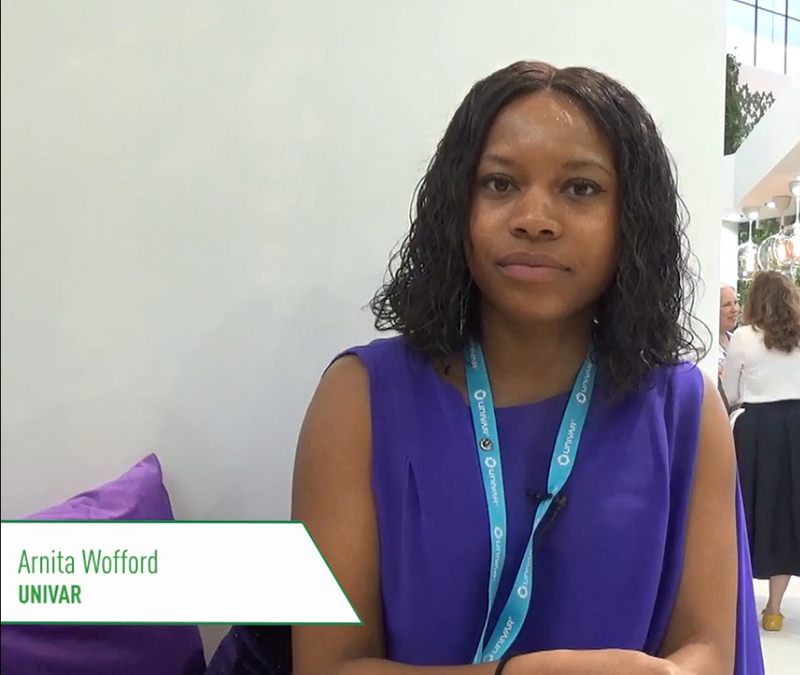 “We are seeing a global movement towards wellness, self-care and authenticity, transparency and as well as to informing consumers,” says Arnita Wofford, Head of Marketing EMEA Personal Care at Univar. “In the past three or four years, there has been a lot more biotech [in the area of] marine biology, so everything coming from the sea. We are calling it the blue source now, so really exploiting – in a sustainable way – the ingredients that nature is giving us,” Wofford says. “The second trend focuses more on the nutricosmetic ingredients, where more companies are looking to improve the cosmetic and beauty benefits of their products with ingredients you can take by oral administration,” Ughetto notes. The company has recently announced that all the active ingredients used in its Health & Beauty Division, which are already plant-based and clinically-proven, will now be available in organic versions. The organic market is a strategic one for Robertet. It enjoys ever-growing popularity among consumers in search of products that are safe both for their health and the environment. Robertet’s Health & Beauty Division now has nine 100 percent natural references available in organic versions. At Natural Product Expo West the company presented some of its signature ingredients, as well as an upcoming new product on the nutrition market, Organic Lemon Balm.